Taekwondo has been with me for 2 years and I have enjoyed every minute in class. I have learned many things in Taekwondo, not just kicks and punches but also self-discipline and perseverance. Taekwondo has helped me in both mind and body, making me stronger, more confident, giving me more work ethic and making me more serious with everything. When I first started Taekwondo I thought it was going to be just a fun thing to do but it became harder and more serious the higher belt I got. I expected the road to a black belt would be easy and trouble free but as I got higher up in the ranks I learned that was not the case, I have never worked so hard to try and achieve something before. Taekwondo has had a giant impact on my life, making me better in everything I do. Before I started Taekwondo I always gave up, in school or at home I was always like that, until Taekwondo taught me the trait of perseverance and integrity. Taekwondo taught me I had to have perseverance, I had to never give up because if I did I would never reach a black belt. Taekwondo also taught me how to respect others and be respectful around them, no matter the situation. I believe that is the part of me that was missing, I would sometimes get mad and hate the person I respected most, and that made me disappointed in myself. 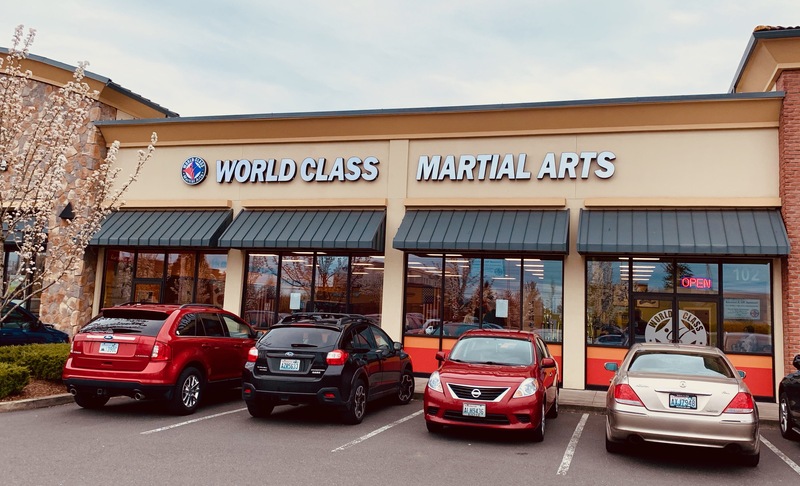 I have Taekwondo to thank for teaching me those pieces I was missing. Before I started Taekwondo I had average grades, a B and occasionally an A. after I started Taekwondo I learned to not give up and to always respect others so I began to get better and better at my school work. soon I got all A’s and was top of my class, it was the happiest I ever was in a while because my mom kept complimenting my good work. after a while I tested into a gifted and talented program and got in! this was all because of Taekwondo teaching me all I needed to know for life and my supportive teachers, from Taekwondo and from school. Taekwondo also helped me physically, it made me stronger and more flexible. at first I was enrolled in Taekwondo because I needed to defend myself, but it became a lot more than that. it became a hobby, keeping me preoccupied and happy at the same time. it meant a lot to go to Taekwondo, it gave me a workout, it stimulated my mind, it kept me happy and I learned new things. it was like a wonderful bundle of things to do that I loved. Taekwondo has made me understand the meaning of perseverance, courtesy, self-control, integrity and indomitable spirit. Taekwondo has also taught me all those traits that are needed for a better life. I have learned all those important traits because while practicing Taekwondo you have to have all those traits and use them, while kicking you persevere even if you missed or you didn't have enough power, you keep on going. you have to respect others and control your emotions. Taekwondo has taught me that I have to have all these traits to have a successful mind and a strong body. Taekwondo has taught me about self-esteem and how it is important. without confidence you can't do much of anything, you have to face your fears. if your testing you have to believe you will pass it and people will see that you are ready and confident of your ability. 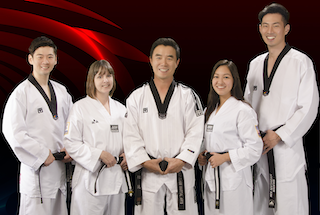 The reasons I love Taekwondo so much is because of my nice masters and instructors, and the work they make me do. they make us do hard exercises but it is for my own good it makes me stronger or it enhances my skills or my knowledge of the tenets. I also love Taekwondo because of its graceful yet powerful moves and attacks. Taekwondo has brought a lot of things in my life, good life lessons, strength and most of all trusted friends. Taekwondo has given me friends that I trust. in fact the reason I wanted to learn martial arts was because of a friend in my school. Taekwondo has also made me a more responsible person, it has taught me I have to get everywhere early. Taekwondo has taught me that if you are responsible and people know you are, people will respect you. to be a black belt means you are the highest rank. everybody else looks up to you so you have to be very responsible, you can't play around and if you do you won't be respected and other lower belts would think “why can't I be a black belt? im better and more concentrated them him!” so to keep your reputation and respect as a black belt you have to be responsible. responsibility is one of the most important traits while doing Taekwondo and Taekwondo has taught me how to master it. Black belts need to be open-minded and they need to accept and be flexible with any changes or adapt to them. this is a trait everybody should learn, not just black belts but black belts learn it naturally because they have to. if they are stubborn and always want it their way then nobody would like or respect them. As a poom belt I know that being a black belt will be tough, already being a poom belt is hard enough but I have to take the trait I learned in Taekwondo, perseverance and keep on going. I need to work hard to get a black belt and when I become one I feel that my journey will be complete, but I know that is not the case. I know I have to keep practicing Taekwondo and keep practicing the traits Taekwondo has taught me. that is when I truly know my journey is complete.